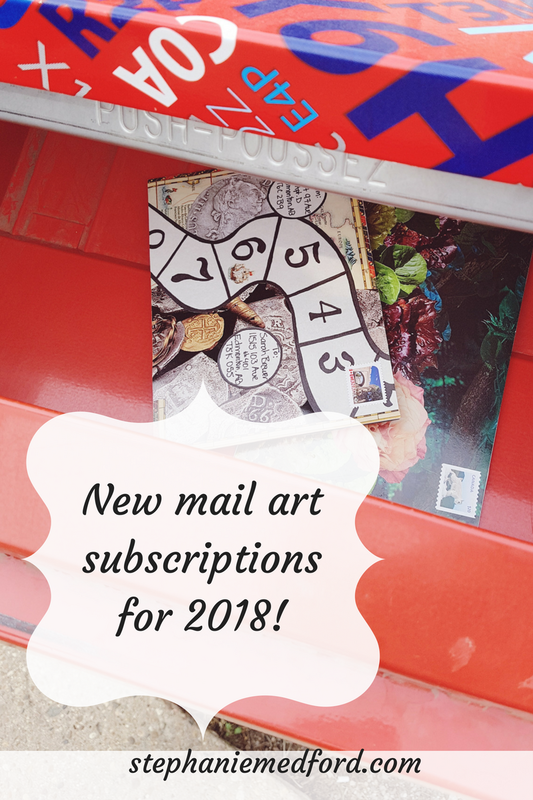 New mail art subscriptions for 2018! Back in April I had this crazy idea. I love receiving and sending mail. I love making small, personalised art pieces for people. 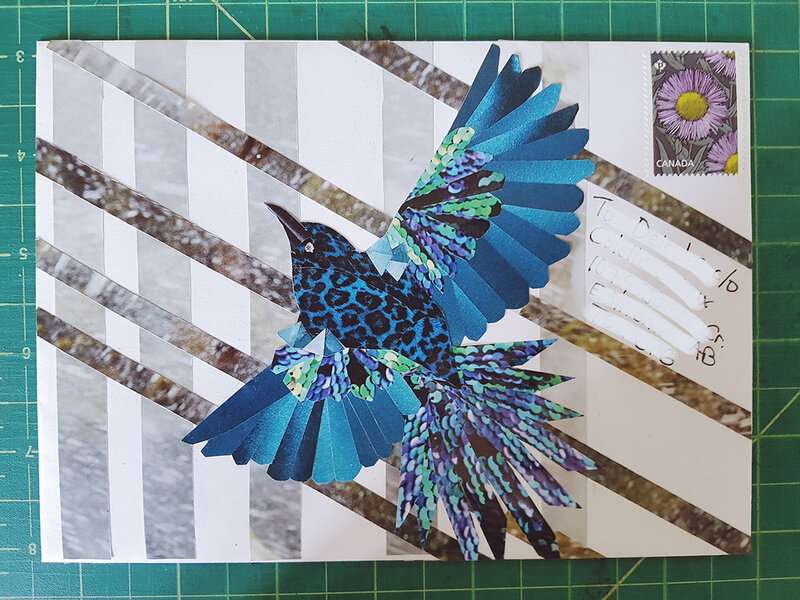 Why not sell mail art subscriptions? So I did! I sold 3, 6, or 12-month subscriptions that included an envelope covered in 100% unique art and a hand-written, personalised letter. A handful of people bought them and I have spent the last 6 months making dozens of pieces of mail and sending them out into the world. It was a chance to experiment and play. Only one of my subscriptions followed a theme - the rest were completely different from month to month. This meant that I could try out all different kinds of styles and media, depending on what I was interested in that month. For an artist working on developing a specific style and voice, this was a great opportunity to step out of the box and try new things. It kept me constantly working and making new things. It's my favourite kind of art: something that creates a complete experience for the audience. You're not just looking at a painting on a wall - you're opening your mail box, opening the envelope, unfolding the letter, and reading. The experience creates a memory that I hope will stick with you. 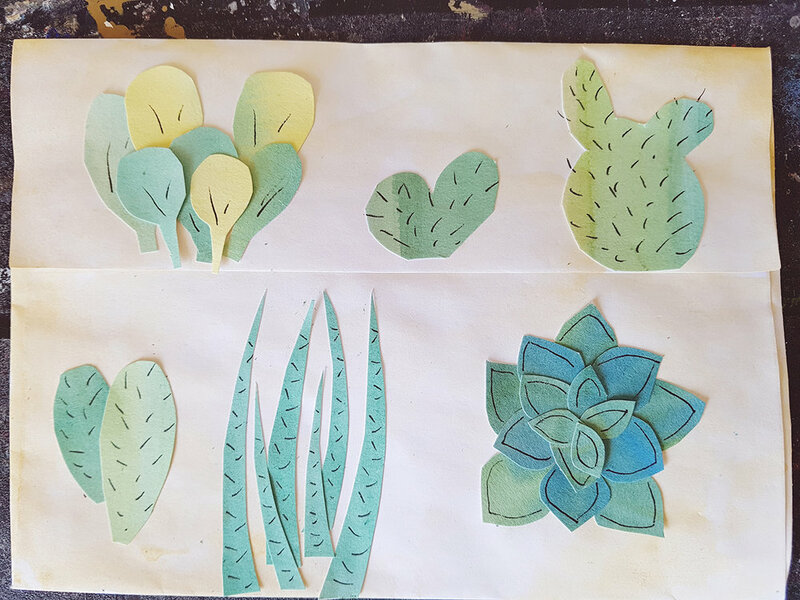 That kind of art is so exciting to make. One subscription was going to a woman that has known me since I was a baby so I decided to have a little more fun with hers. I wrote it from the perspective of a mystical being who had all kinds of adventures and I made the artwork on the envelope to go with the stories. I had SO much fun making this one - I forgot how much I love making up characters and stories. Sometimes I got letters back from the recipients which I was so grateful for. They told me about what was going on in their lives or sent me their own creative influences and ideas, which was an incredible source of inspiration. The only thing I didn't like was that each piece of mail took so much time that it was hard to fit them in with everything else that I was working on. No matter how hard I tried, I still haven't been able to shorten the process. Each letter was supposed to go out 30 days after the last one and I haven't always been able to make that happen, which I feel bad about. Part of the reason it took so long was that I sometimes struggled to come up with a concept for each one. 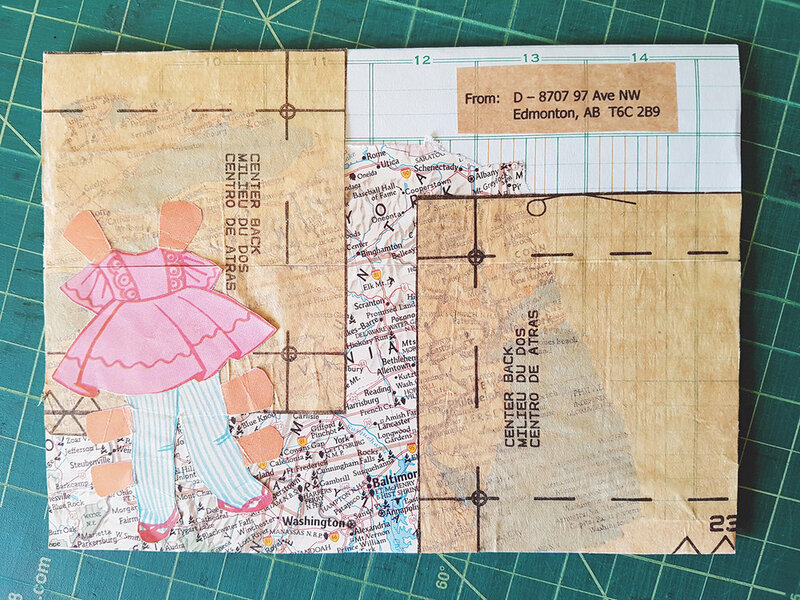 I really want to keep making mail art, so I've decided to sell a small amount of subscriptions for Christmas. I'm taking what I love the most and trying to mitigate some of the problems that I had with the last batch, which means that things will be a bit different this time. 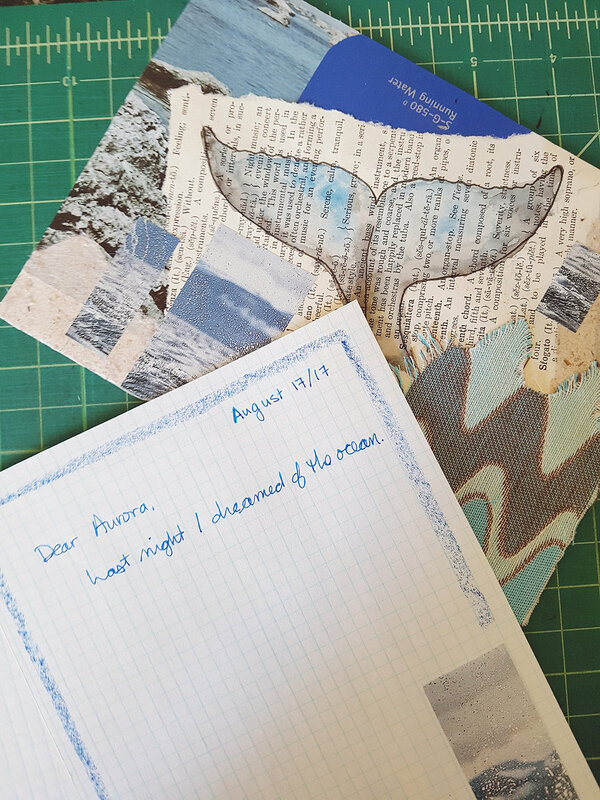 Option 1: 6-month subscription of handmade postcards. Look forward to checking your mail each month and finding a splash of inspiration. Collect 6 original artworks made just for you, with your personal tastes and interests in mind and with personalised messages on the back of each one. Details: I'll ask you to fill out a short questionnaire to get to know you a little bit and then I'll choose a theme for the subscription. Each month you will receive a postcard with 100% unique, original artwork inspired by the theme and a short message from me on the back. If sending as a gift, you can fill out the questionnaire on behalf of the recipient, or send it to the person for them to fill out (if you don't want it to be a surprise). Availability: 2 subscriptions available to start in January 2018, and 2 to start in May 2018. Option 2: 6-month subscription of letters from a fictional character. Imagine what it would be like to start receiving letters one day from a mystical being who seems to have magical powers and is always off on some kind of adventure. On top of that, each letter comes in a beautiful envelope that is a work of art in itself. Now you can! Stay glued to your mail box as you wait for each instalment in the story and savour the experience of opening and unfolding a physical letter from a faraway place. Details: This option will be created once and then copies will be sent to every subscriber. The letter will be addressed to the recipient but the content of the letter and the envelope artwork will be mass-produced. I hope to release a new story every six months. Availability: Unlimited subscriptions starting in January 2018 with a new story coming out in July 2018. To buy either one of these subscriptions send me a message and put 'Mail Art Subscription' in the subject line. I'll respond with payment information and the questionnaire if you're going with Option 1. I can't wait to get started!